Evanston is quickly building a tradition of girls teams that are a ton of fun, play hard and win! We are looking forward to a great 2018-2019 girls season, filled with team building and good competition. In 2018-2019, Evanston Hockey girls will join 14 other NIHL teams and will play a full NIHL girls season. The team is also slated to play in two regional tournaments. 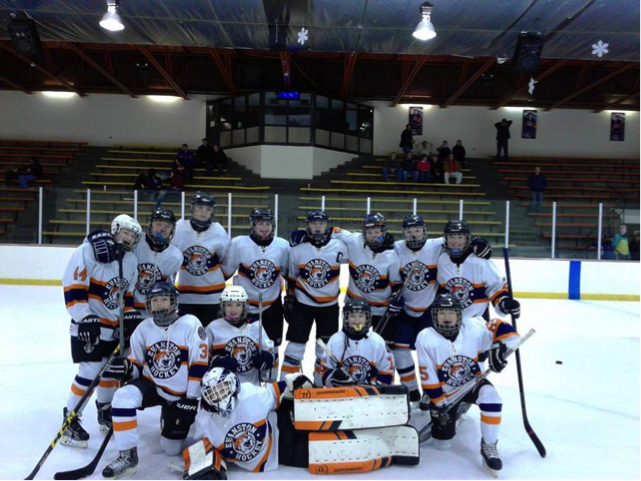 For information on the Evanston Hockey girls program, please contact Carrie Ballard, 773.655.1652 or . Come skate with us! Evanston Hockey works hard to keep season fees steady. Travel hockey fees are announced in advance of conditioning and tryouts with discounts available for goalies and multiple siblings. Fees for the 2018-19 season are $2,900. If you have any questions about the Evanston Hockey travel program, please email .